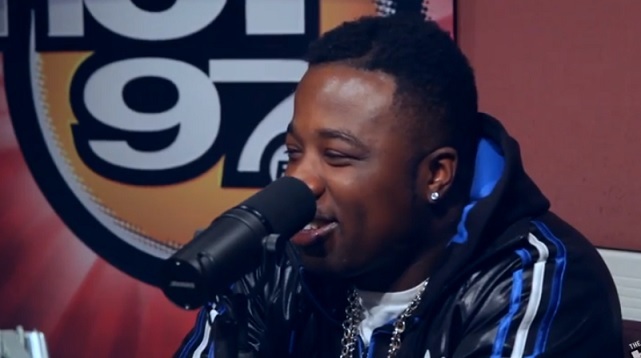 Troy Ave sits down for the latest episode of Juan Epstein with Cipha Sounds and Peter Rosenberg. Take a look as Harry Powder gets into detail behind the inspiration for his new album including the conscious decision to include more than drug raps. As the conversation continued, Ave speaks on his dislike for wasting money at the strip clubs and reveals that he has plans to strictly put on his BSB crew and showcase their individual skills. Interestingly enough, Troy gives listeners insight into why he considers Kendrick Lamar and Kanye West weirdos. An interesting point the rapper also brought up is that today’s hip hop listeners seem to celebrate the drugs users rather than the drug dealer anymore. This entry was posted in In The Studio, Interview, Video and tagged BSB crew, hip hop, hot 97, Interview, Kanye west, kendrick lamar, radio, rap, troy ave. Bookmark the permalink.